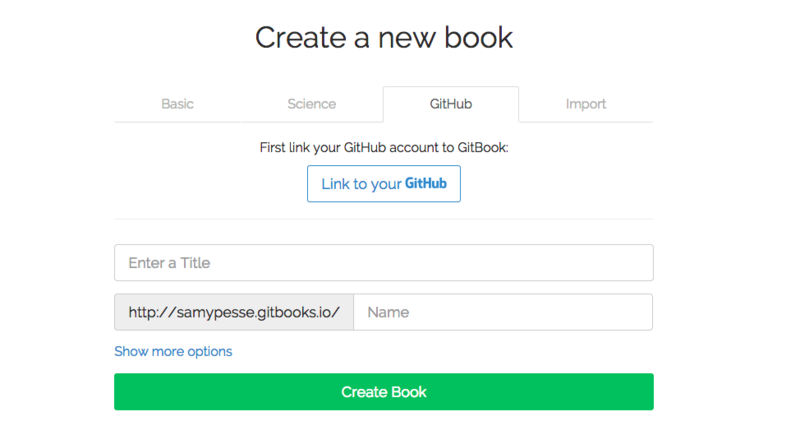 GitHub integration is a feature developers love, so we’ve made it even easier for devs to import books from GitHub. GitHub is an amazing product, with a dynamic open source community; hosting your book’s source on GitHub is a great way to enable other developers to contribute to your book. This new feature allows you to select a GitHub repository when creating a book, we will automatically set everything up (builds, webhooks, etc …) so you get the best of GitHub and GitBook ! You can also use a GIT repository url, for example to import from BitBucket or Assembla. If you need authentication, simply specify your user/password in the https url, eg: https://user:password@myserver.com/repo.git.